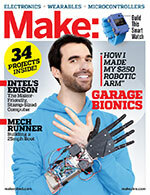 For more on microcontrollers and wearables, check out Make: Volume 42. Sure, wearables are great, but they’re still external devices ­— accessories we have to don, that we can lose, break, or have stolen. They do cool things, but don’t inherently change anything about who we are. But there’s a small community thinking beyond wearables. These self-described biohackers create DIY implantable systems to augment human capabilities and transcend the limits of biology. Common entry-level biohacks include neodymium magnets embedded in fingertips to sense magnetic fields and pick up small objects and RFID or NFC chips in hands for unlocking phone screens or interacting with other compliant devices. And then there are some individuals who are pushing even those limits. Neil Harbisson was born colorblind. And not just mix-up-red-and-green colorblind; to him the whole world looks like a black-and-white TV — everything grayscale. 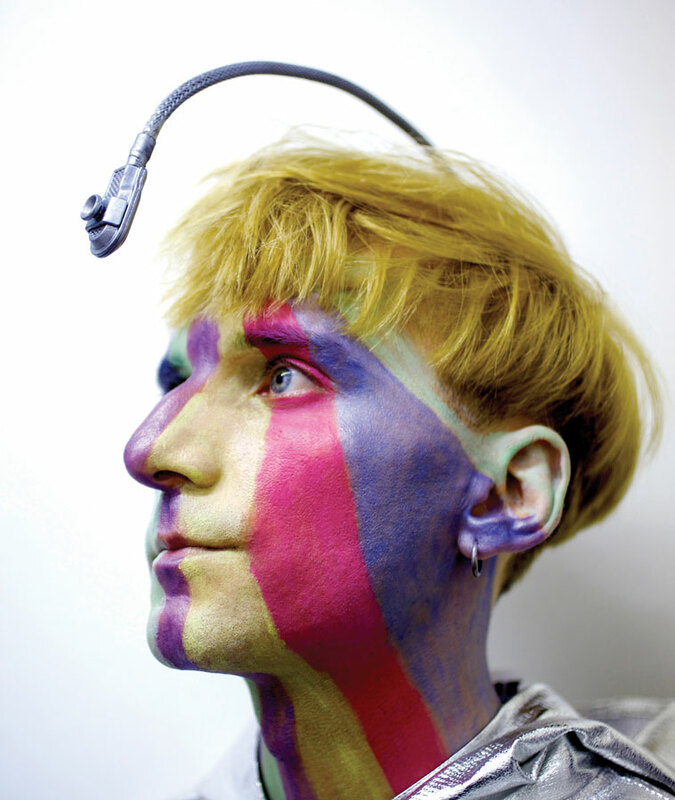 But thanks to a snorkel-like device mounted to his head, Harbisson listens to color. A small camera translates the visible spectrum into sound — different frequencies for different hues — and a chip transmits it to him via bone conduction. The device is so integrated with Harbisson’s person that he now hears color passively, even experiencing the sounds of colors in his dreams. 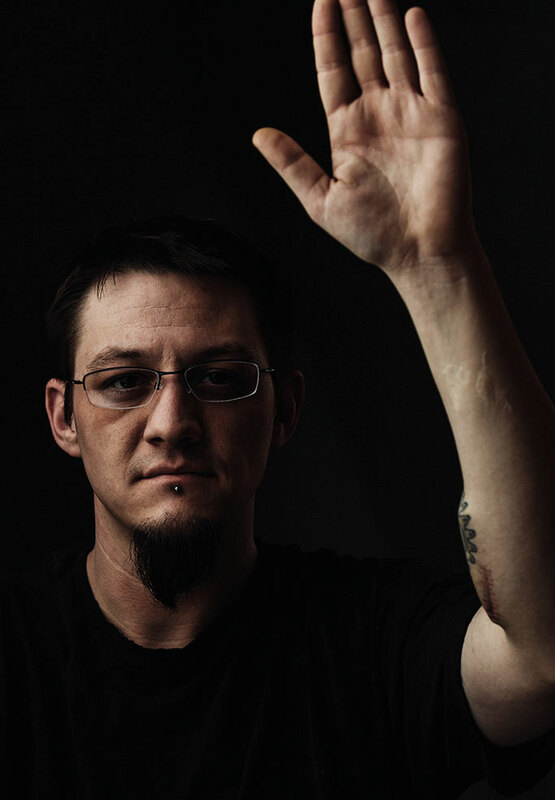 For 90 days in late 2013, Tim Cannon traveled internationally, exercised, was submerged in water, and led an otherwise normal life — all with a smartphone-sized device implanted in his forearm. It was the first version of Circadia. The device charged wirelessly, mimicked bioluminescence by lighting up subdermally, and sent Cannon’s body temperature to his phone. Now that he’s proven it can be done, Cannon and the Grindhouse Wetwares biohacker community he works with are testing batteries and power sources to improve efficiency, and hoping to transmit other body metrics such as heart rate, blood oxygen level, and more. Rich Lee has a magnet in his finger, but he wanted more. 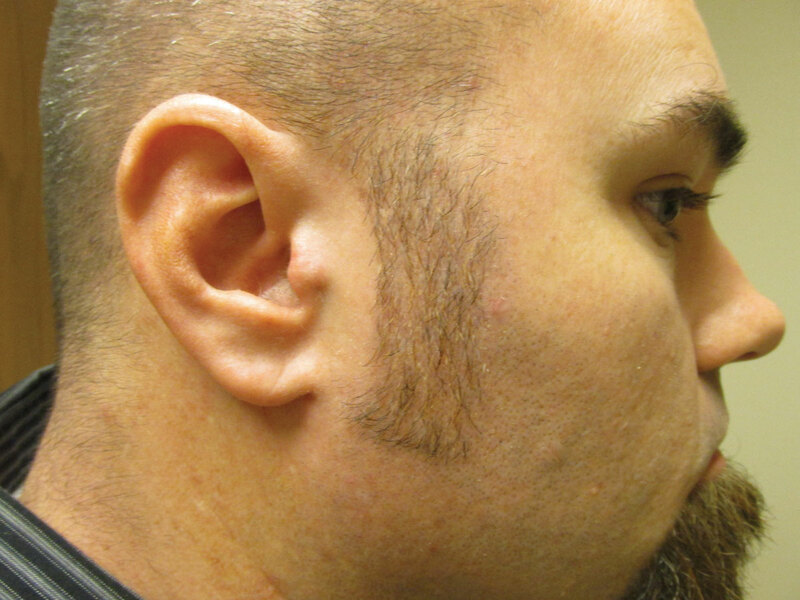 In 2013, Lee had two magnets implanted in his head, one in the tragus of each ear. 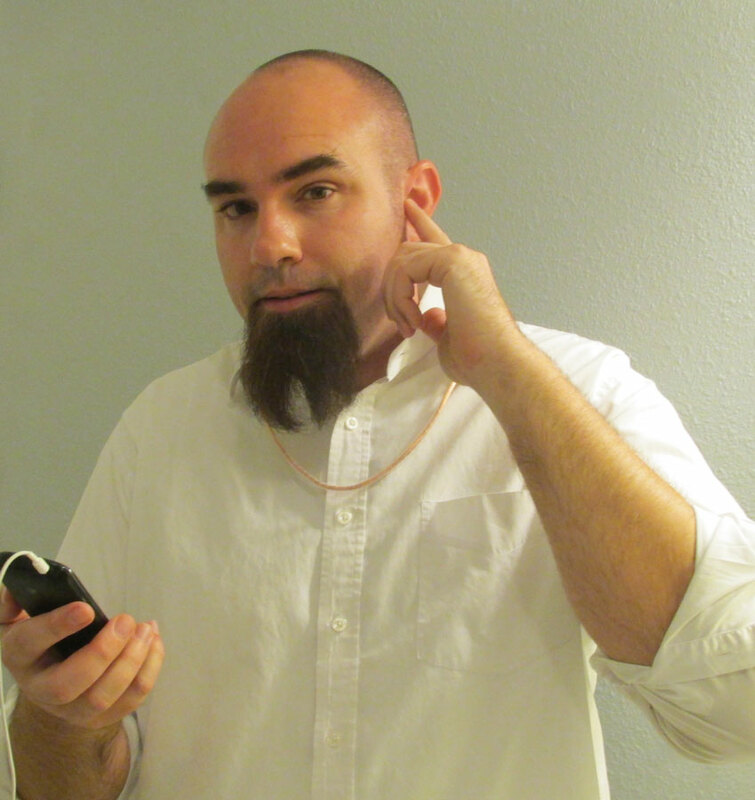 Using a homemade amplifier worn around his neck, he can listen to music through the magnets. The signal from his MP3 player runs through a coil, creating an electromagnetic field that causes the magnets to vibrate, playing music. Lee’s coil works with almost anything you can plug a headphone jack into, like a metal detector. A piezo contact mic lets him “hear” through walls, and hooking his coil up to a rangefinder grants a crude version of sonar. Lee is also combining lie-detection, stress-analysis, and voice-recognition apps into a perception-enhancing tool. Take that, Spidey-sense!